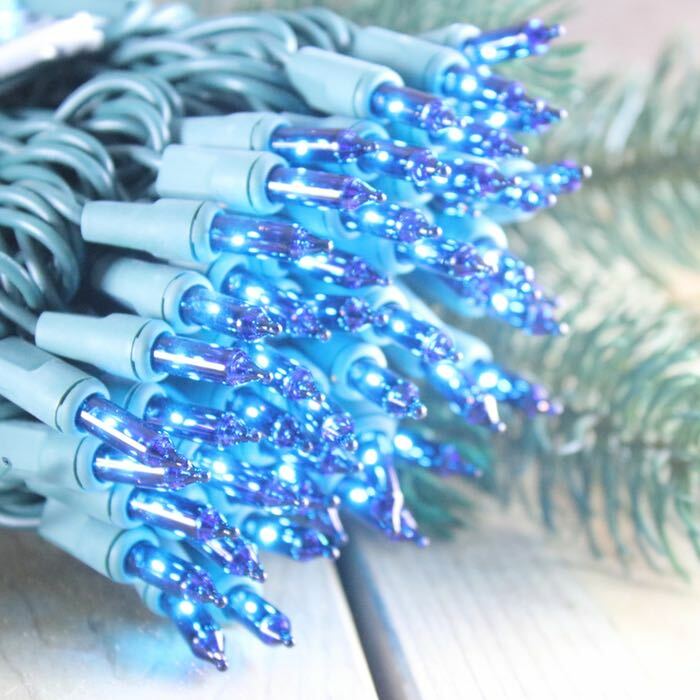 These blue mini light strands have 100 bulbs spaced 4 inches apart and are approximately 33 feet 8 inches long. 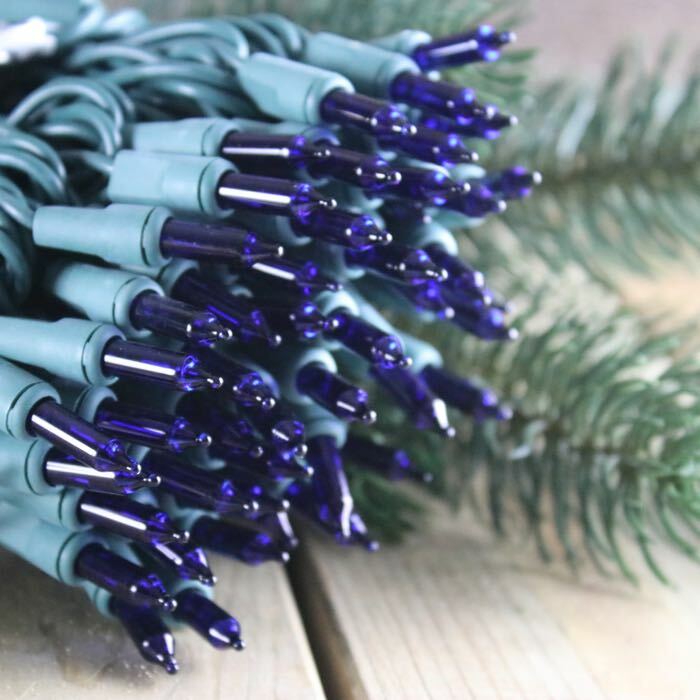 With green wire, they are a great choice for decorating your Christmas tree and are a nice complement to silver ornaments and bows. Don't forget to order enough lights to accent your garland and any wreaths where you have access to a 120 volt outlet. You can run up to 5 sets of lights in series and each set comes with 2 replacement bulbs and a replacement fuse. Be sure to remember to save the replacement bulbs that come with these sets. If one light burns out the others will continue to burn but the same current will be running through fewer bulbs. Be sure to keep an eye out and replace burned out bulbs as soon as possible. If a bulb is removed or dislodged in its base, then that half of the mini lights circuit will go out. Outside of the Christmas season, don't forget to try using these lights to decorate for your favorite sporting team. Good quality and color, very pleased.